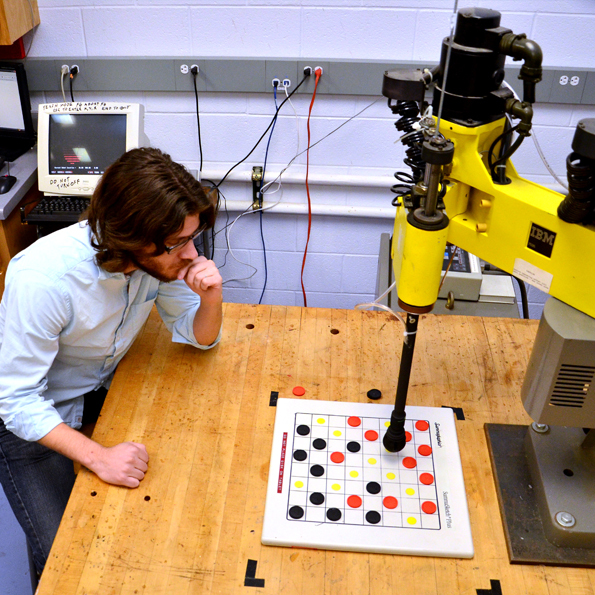 The CheckerBot is a system create from a repurposed pick-and-place robotic arm. It utilizes image processing to determine the current state of the game and makes a move based on a custom min-max game tree with alpha/beta pruning. Pieces are manipulated using a purpose built universal gripper.